Today we are going to review a binary options scam that is backed by another scam. 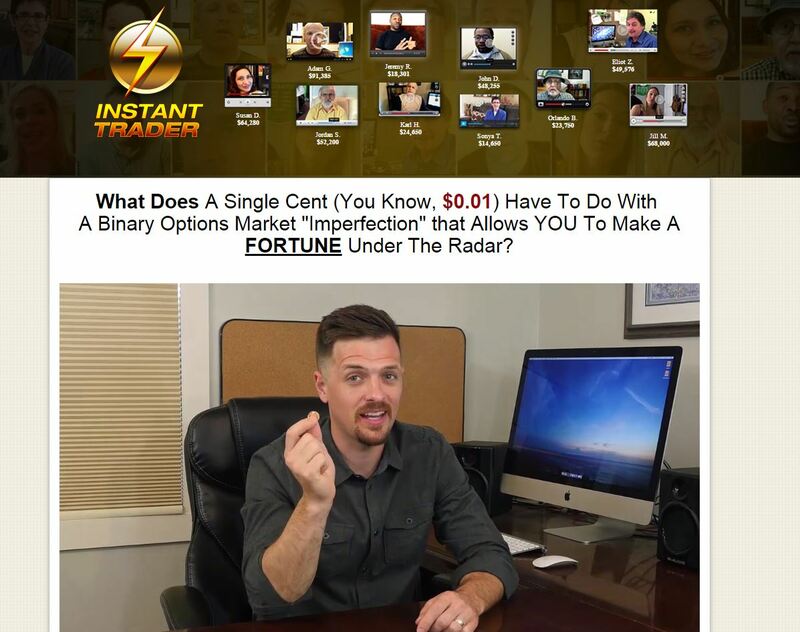 “Instant Trader” is a binary options trading software with big profits supposedly verified by “Binary Verify”. A certain Barry Roman uses a video to explain that he will give you for free a piece of trading software that can make you a lot of money. 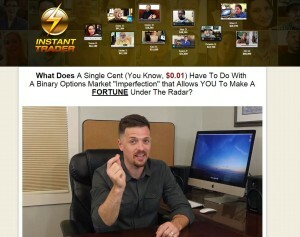 Barry says that Instant Trader earns him thousands of dollars per day. As a proof he shows some statements saying they are verified by Binary Verify. 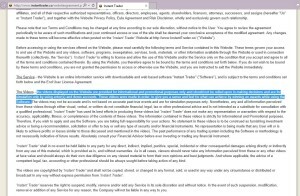 We’ve seen that already, scammers create fake independent services that are supposed to verify their trading results. BinaryVerify.com is the same. Just check their web site, no real contact information, no address. This is not how a genuine independent verification services looks like. But most importantly they “verified” accounts that are not real, see below. 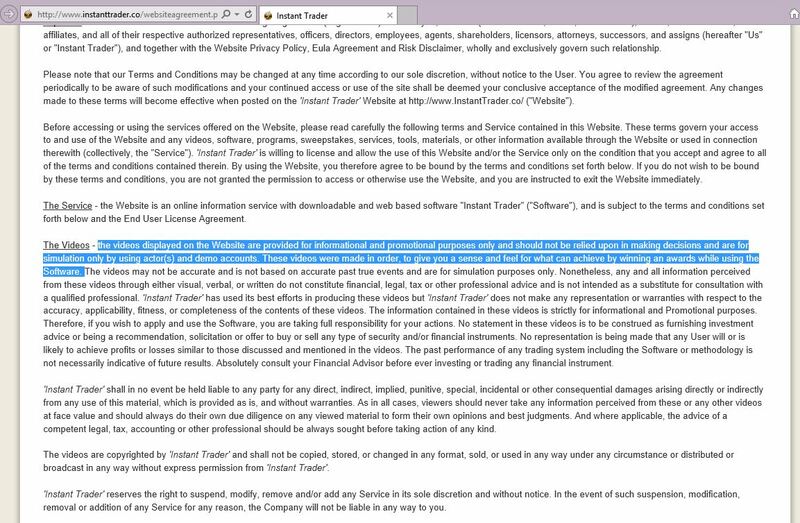 So no matter what Barry says about turning one penny into 10 thousand dollar ot about a secret that makes him thousands of dollars per day, in the TOS he admits that it is not true, that he just tells you a fairy tale. It seems that authorities are after binary options scammers, so they have to cover themselves somehow. That is probably why we see more and more scammers admitting somewhere on their web sites that they are not telling you the truth in their presentations. It is exactly the case of Instant Trader and Binary Verify. These people are just binary options affiliates that make money from each new trader they refer to their brokers. So stay away from Instant Trader if you don’t want to lose money. Because if you join them, you will have to open a trading account and deposit money into it, which is what you could then lose. Trading binary options is a serious thing that requires time and learning on a demo before you can start to make money. No free system will trade profitably for you.